Vast, diverse and hugely rewarding, Argentina offers wilderness exploration on an epic scale. Venture through cacti-studded deserts, Valdivian temperate rain forests and rolling grasslands, encounter thundering jungle waterfalls and stunning sub-polar fjords, or relax in elegant estancias, sipping world-class wines in sunset’s glorious orange glow. Extending from tropics to tundra, spanning dizzying Andean plateaux down to its long and windswept Atlantic coast, Argentina’s vast mosaic of landscapes play host to an incredible spectrum of wildlife. 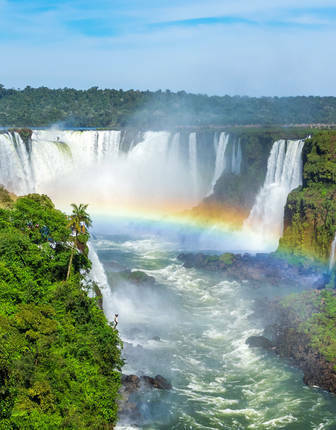 Crashing over Argentina’s northern border, the 3km-long Iguazú Falls cascades through lush jungle, its powerful roar drowning out the hoots of toucans and the cackle of monkeys. Deep into Patagonian wilderness, behold the violently jagged Fitzroy Massif, its snowy teeth jutting into azure skies over blissful Lake Capri. 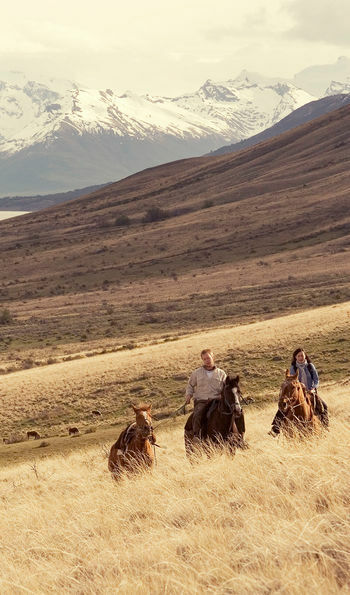 Take to the saddle to herd cattle with chuckling gauchos in the fertile Pampas lowlands, venture through Ibera Wetlands where sleepy lagoons are alive with capybaras and caiman, picnic in the idyllic Bariloche Lake District, or safari at sea off the Valdes Peninsula to witness leaping sperm whales and inquisitive sea lions. There are astonishing red hues to admire in colonial Salta’s parched deserts, while white-blue glaciers are bewitchingly titanic, flowing around Tierra del Fuego. As diverse as the country’s majestic landscapes, the charismatic barrios of Buenos Aires are awash with neoclassical grandeur and the scent of irresistible steaks, while infectious Latin ambience oozes from stylish plazas, boisterous markets and enticing, low-lit tango halls. Shop along San Telmo’s romantic cobbled streets, join fútbol fanatics in colourful La Boca, enjoy dockland drinks in sophisticated Puerto Madero, or simply stroll downtown to admire South America’s most exciting urban destination. Visit riverside Rosario, birth-place of Che Guevara, or stunning Ushuaia, the world’s most southernly city, perched next to the majestic Beagle Channel and its surrounding fjords. Outside bustling cities, Argentina’s sumptuous wine estates and outlying estancias (ranches) offer luxurious accommodation and days filled with wine-tasting, hill exploration, and veranda relaxation. Lodges tucked in Andean foothills provide serene vistas under sensational mountain peaks, or for the most intrepid adventurers, Cape Horn is the access point for Antarctic cruises. Argentina’s diversity is simply staggering: a journey through its regions is a voyage through the landscapes of the world. Go beyond the must-see sights of beguiling Buenos Aires with a local guide and discover the city’s leading shops and secret corners. Then, give in to the music and dance the night away in an atmospheric tango bar (we can even arrange lessons with a professional) or get great seats at the best milongas. Visit world-famous wineries and bodegas in the Mendoza valley and let a sommelier lead you through the different types of robust red. Enjoy a traditional asado barbecue and sink your teeth into the world’s most superb beef. 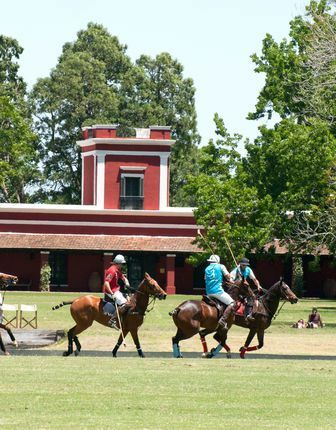 Spend time at a traditional estancia in Cordoba and ride out with the gauchos or seek out an exclusive polo estancia to practice your skills with an expert player before watching the professionals at the Argentine Open. Take an exhilarating off-road 4x4 adventure or get behind the wheel to cruise along Ruta 40. 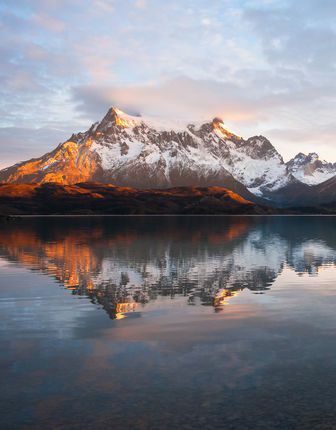 Board a boat to sail to an isolated spot on the shores of Lake Fagnano for a private barbecue lunch or cruise past glaciers in a private yacht on Lago Argentino. Take off by helicopter for a scenic flight over the Andes, touching down on the summit of Cerro Le’Cloche or get up close to the iconic peaks of southern Patagonia on a private flying safari. Pit yourself against the Andes and tackle an ascent of Aconcagua. Witness the fury of the colossal Iguazú Falls. Watch Southern Right whales on their migration or observe orcas hunting for sea lions from the Valdez peninsula. Base yourself in glamorous old-world and boutique hotels in Buenos Aries. Indulge yourself from luxury wine estates such as Entre Cielos, surrounded by their own award-winning vineyards or seek out authentic estancias and rustic characterful ranches in the pampas including Estancia La Bama de Areco. 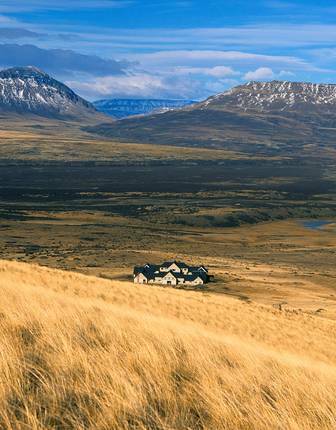 Further south immerse yourself in the wilderness by staying at eco-camps and remote lodges such as EOLO, sat amidst 10,000 acres of private Patagonian steppe. 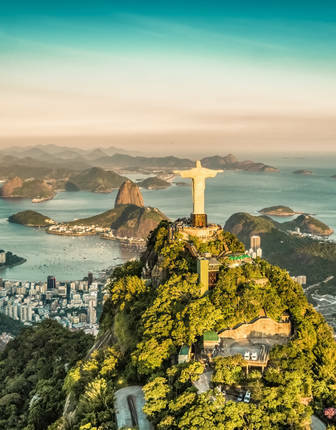 Ask us as well about berths aboard the MV Stella Australis, an expedition-style ship that explores the fissured collection of waterways and fjords at the very tip of South America. At Eolo Lodge, you’ll explore Patagonia at its wild best with a range of tailor-made activities before returning to Relais & Châteaux luxury, epitomised by the indulgent dining and designer rooms. 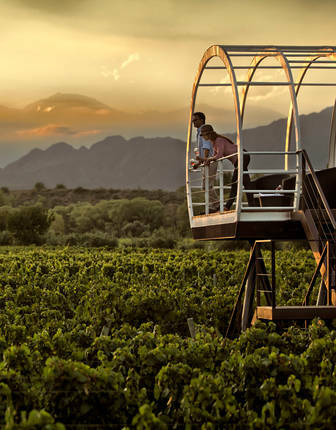 Entre Cielos is surrounded by its own award-winning Malbec producing vineyards and overlooked by an alternately star spangled or sun filled expansive sky. 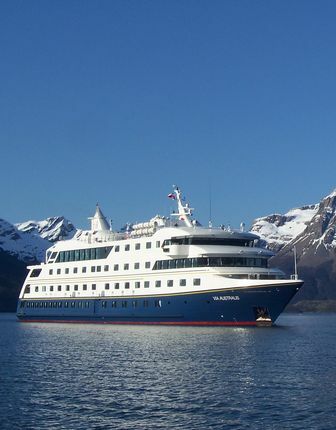 As the only deluxe cruise that links Patagonian Chile and Argentina, this is a unique opportunity to discover the myriad wildlife and spectacular scenery of this wild region. 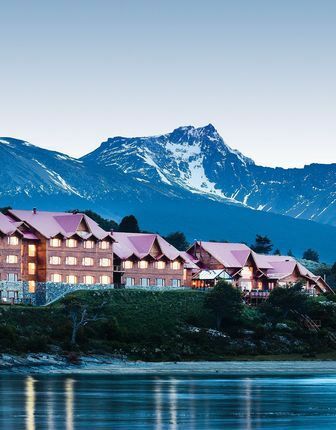 As the Beagle Channel’s only luxury accommodation, Hotel Los Cauquenes stands unique, with its wine-paired dining, cosy rooms and spa overlooking those famous, mountain-framed waters. Travel back in time with this rustic estancia where asado barbecues, horse rides through the pampas and historic rooms carry on the region’s gaucho traditions. 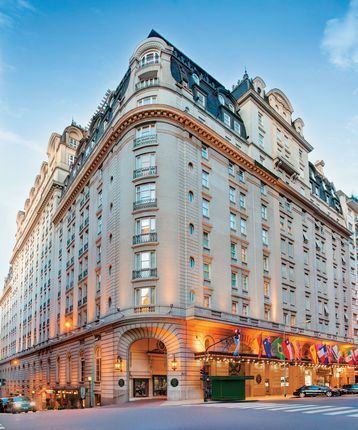 Landmark hotel in the smart, leafy neighbourhood of La Recoleta, with grand, French-inspired décor, splendid restaurants and bars and excellent facilities. 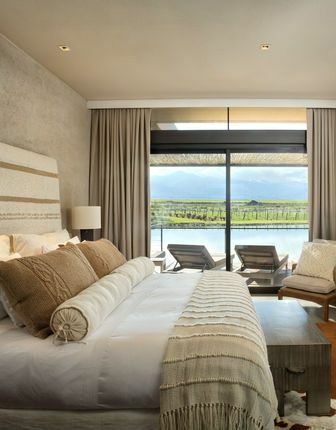 While Mendoza’s vineyards are home to endless rustic charm, the Vines Resort combines chic living, exemplified by its designer villas, spa treatments and contemporary dining. 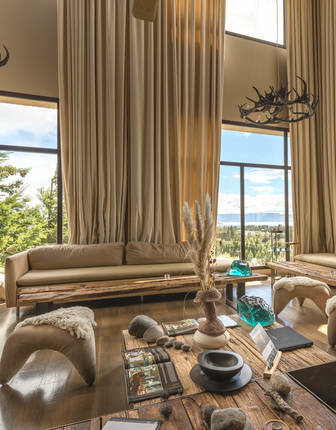 A gem in the heart of Patagonia, Esplendor's design is perfectly matched to the jaw-dropping scenes outside. Argentina is a year-round destination, but those hoping to explore the wild spaces of Patagonia should go between December and March unless you’re looking to ski. Even then, the destinations in the far south are, in the main, inaccessible, with many roads and trekking routes closed. Conversely, the north west of the country is best from April to December. Iguazu is at its fullest just after the summer rains, making for some spectacular photo opportunities while in Mendoza, the autumn months (late-Feb to April) see the vines turn to deep reds and golds against the Andes' snowy peaks. 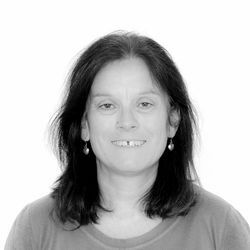 It's also the time of The Vendimia festival, a celebration of the annual grape harvest. In the Lake District, spring is particularly delightful, with thousands of wildflowers carpeting valley floors.